Under the scheme, the Delhi government provides free medicines, tests and several life-saving surgeries through a three-tier network of Mohalla Clinics, Polyclinics and Hospitals. NEW DELHI: Delhi Health Minister Satyendar Jain on Tuesday said Lt. 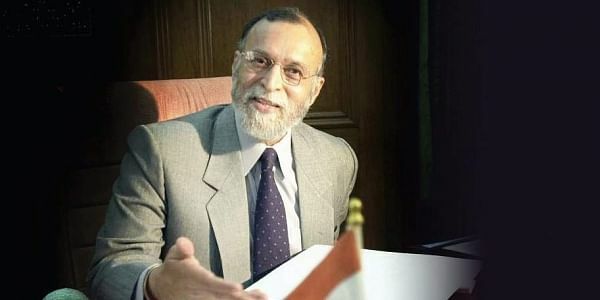 Governor Anil Baijal's objection to the government's "Quality Health for All" scheme is due to "lack of knowledge of ground realities" and that it will render the scheme "unworkable". "LG stalled both Mohalla Clinic schemes for a long time and asked to fix income limit for people to get health services. This is a very tough and complicated work and not a sustainable one," Jain told media persons here. "Why can't all people be benefited by the healthcare policy? When all people pay tax, then all deserve free healthcare from the state. Why is the Governor against it? What is the need to fix income limit," he said. "We assume that the Health for All should be taken as the right for every citizen -- be it poor or rich. It's about health of the people of Delhi," he maintained. "If a hospital has to check the income certificate of each patient before referring him to a private hospital, it would require a whole set of bureaucracy and creation of many new posts," he said. Every patient would need an income certificate, which most people did not have, Jain said. "If you need it urgently from the SDM office, you would end up paying huge bribes. Secondly, false income certificates are available at a certain cost," he added. The Minister said that so far 8,000 people had already availed the benefits of this outsourced scheme. "When MCD (Municipal Corporation of Delhi) dispensaries don't have any income limit, why can't Delhi Mohalla Clinics have the same norm," Jain asked.